The Ford Focus RS is a little hellion of a hatchback, but it’s hardly a spring chicken anymore. So, why test this machine again? It’s older news than tales of Molly Pitcher’s battlefield exploits. To be honest, I’ll never turn down an opportunity to experience the RS’s Blitzkrieg-like acceleration and snorting exhaust. 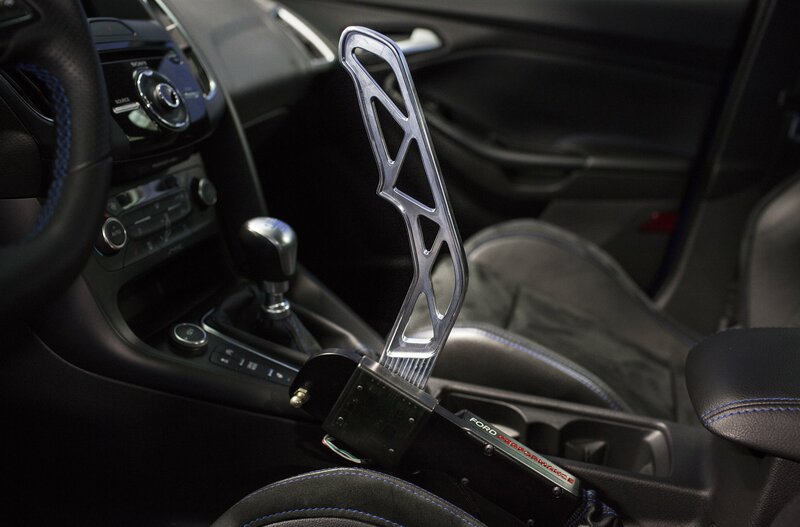 Of course, a velvety shifter, easy everyday drivability, and reasonable efficiency if you’re not constantly dipping deep into the boost are other reasons to enjoy time spent in the left-front seat. 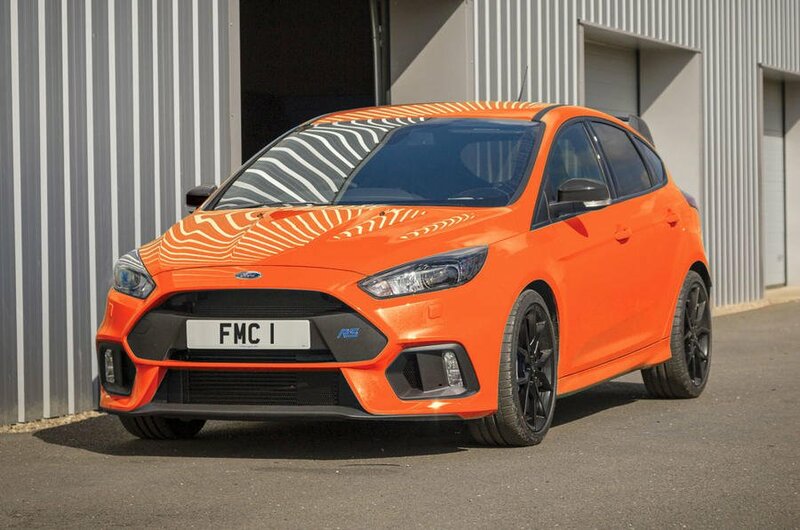 But be warned, this piece isn’t a review of the Focus RS, rather it’s an in-depth look at the Drift Stick, an accessory from Ford Performance that allows you to slide this little five-door around with the flick of a wrist. If you’re searching for a more complete review of the car please click here, here, here or even here for much more comprehensive coverage. As for the Drift Stick itself, the whole idea of this accessory is pretty ridiculous. Fundamentally, it’s just a lever that serves one function, locking the rear wheels so you can get sideways on a whim. I mean, honestly, who needs a pricey add-on like this that can’t (or at least shouldn’t) be used on public roads and shreds tires like a stump grinder processing the remains of an ash tree? Probably only the tiniest subset of Ken Block wannabes that happen to own an RS. On paper, the Drift Stick is of dubious worth, however, in action, it’s quite another story. This thing is an ABSOLUTE RIOT that after the first bit of tire-squealing oversteer had me snickering like a village idiot huffing nitrous oxide. Sprouting from the emergency-brake’s handle is a beautifully machined aluminum lever that’s your source of on-demand slides. Despite its wispy appearance, the Drift Stick is surprisingly sturdy in hand, with minimal looseness or flex to detract from the experience. But why would you want to shell out extra cash for this accessory when you could simply yank the parking brake and possibly achieve the same thing? Well, there are some critical differences. For starters, the Drift Stick is entirely electronic in its operation. 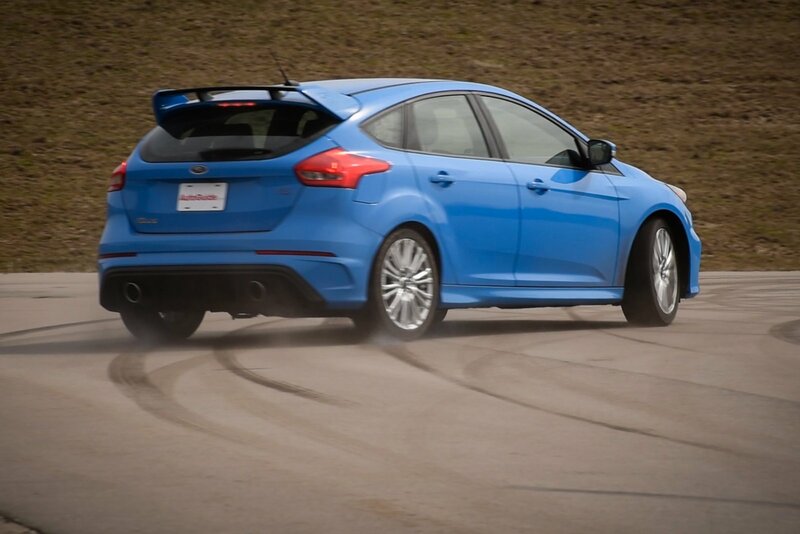 When activated by a gentle pull, it disengages the Focus RS’s all-wheel system, so torque isn’t flowing to the rear differential, then it firmly prevents those aft tires from spinning by applying some 870 psi (60 bar) of line pressure to the rear brake calipers. 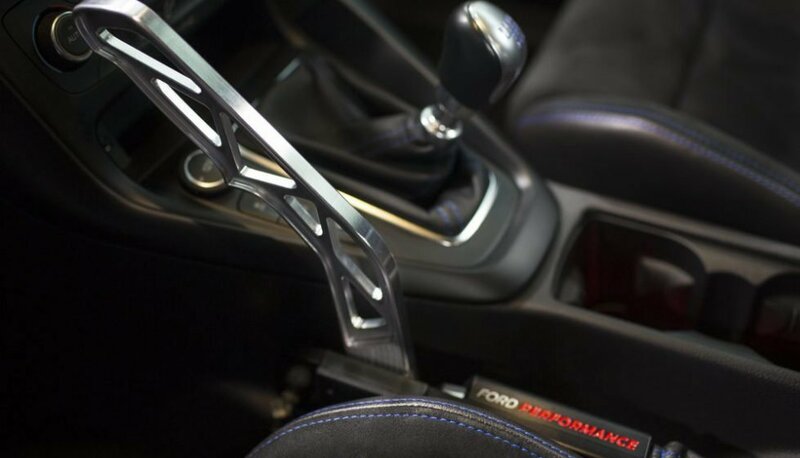 The mechanically operated handbrake would only apply the rear binders; engine torque could still be routed through the rear differential, meaning the car would essentially be fighting itself by trying to stop and accelerate at the same time. Installation of the Drift Stick and its associated control box is a snap. There’s no welding, drilling or other modifications required. And since it plugs into the car’s OBD port, it can also serve as a diagnostics tool. Firmly anchoring all this in place to the lower seat mount is an adjustable link with ball-stud ends. Lock the stick in place to go for a sideways rip or disconnect it to set the parking brake like you normally would. It should go without saying, but this aftermarket addition is NOT to be used on public roads, which Ford strenuously points out. Basically, they’re not responsible if you plow into a stopped ice-cream truck or run over an elderly person while going sideways through the crosswalk in front of a Target. For safety reasons – and so I’d still have a driver’s license – we went to the M1 Concourse in Pontiac, Michigan, to evaluate the Drift Stick. Spread across nearly 90 acres right along historic Woodward Avenue, this facility is like an amusement park for car nuts. It boasts of an 11-turn racetrack, private “car condos” that gearheads like you can own, and much more. Their 2.5-acre skid pad was the perfect place to enjoy the Drift Stick, a safe, obstacle-free environment. 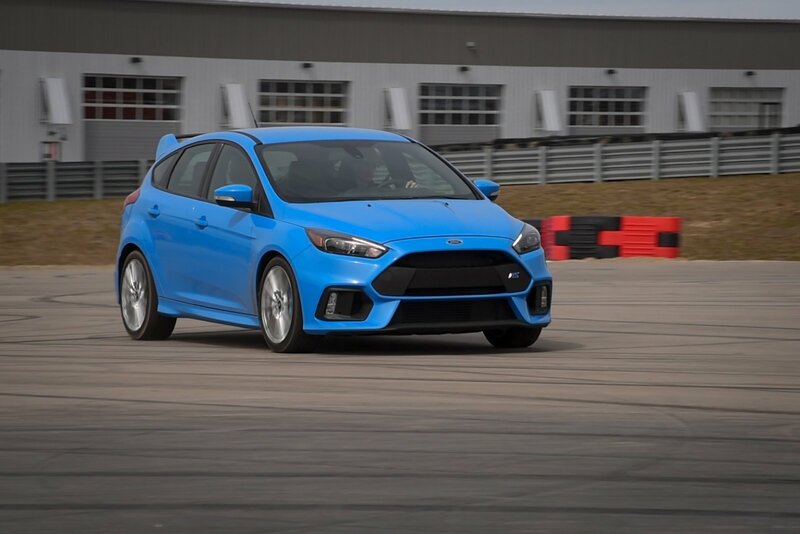 With 350 foot-pounds of torque on tap from an entirely accessible 3,200 rpm, the Focus RS has more than enough twist to do doughnuts with ease. And you don’t even have to be going very fast to have fun; yank the lever at as little as a walking pace and the car will happily go sideways. With the Drift Stick, you can slide the RS and you can do doughnuts in it. Figure-eights, reverse turns and more are all possible, but there are a couple minor limitations worth mentioning. For starters, it only works between 3 and 70 miles an hour, so if you hoped to pull the handle while going 80-plus down a Texas freeway, too bad. Also, there’s a maximum apply time of 10 seconds at a go. It’s addictive, it’s giggle-inducing and it’s a riot. The Drift Stick makes you feel like an amateur Ken Block. 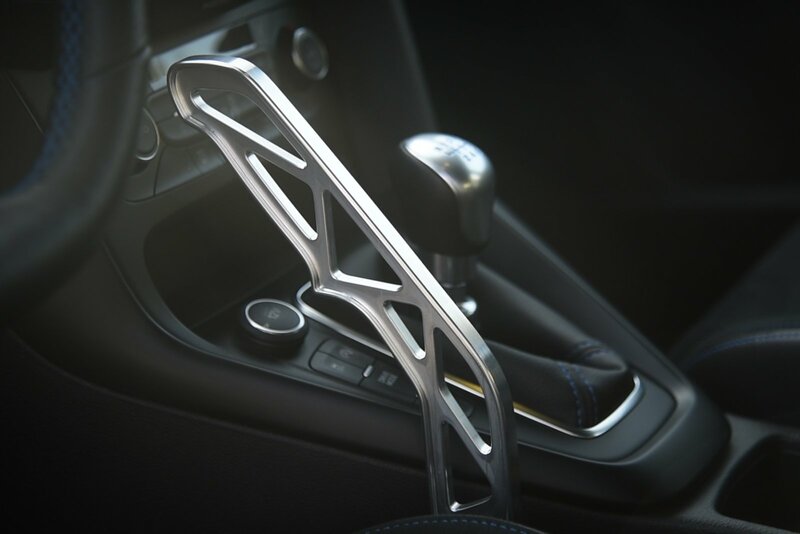 In fact, Ford had the Gymkhana legend gave final approval to this accessory before it went on sale. In the appropriate setting, this little add-on is tons of fun, but there is one other drawback worth mentioning. Aside from not technically being cleared for use on the street, Drift Stick is also pretty expensive, carrying an MSRP of $999. But if you’re still interested you can pick one up in the U.S. and Canada from authorized retailers. Just look for part No. M-2780-FRS. 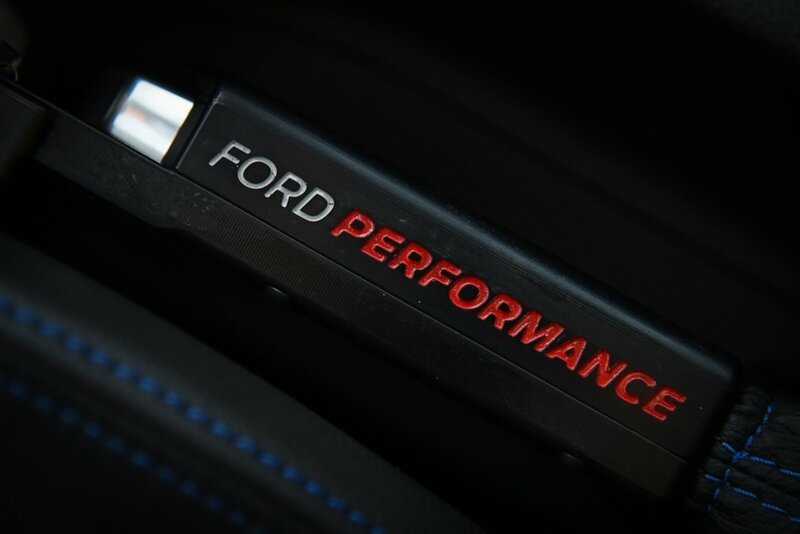 Like many other Ford Performance parts, this one doesn’t affect the Focus RS’s factory warranty, though the same cannot be said of the rear tires; it has a huge impact on them, transforming mint-condition Michelins into flat-spotted junk in mere minutes.